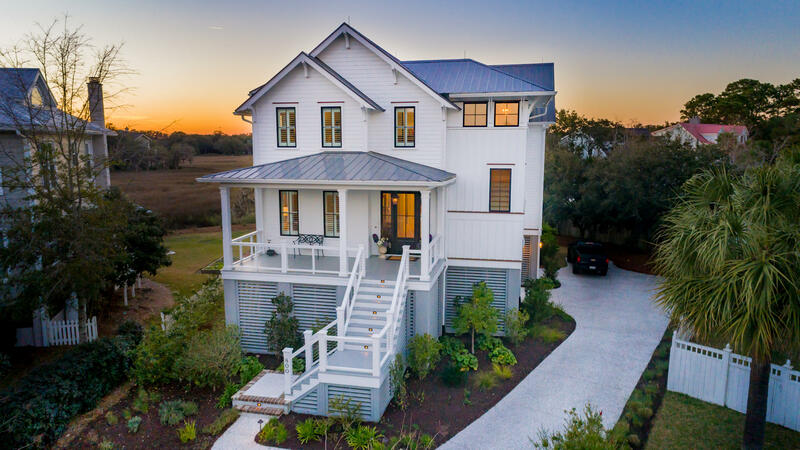 Welcome to 800 Fiddler's Point Lane, a newly built, custom home by Structures Building Co., situated on a large cul-de-sac lot overlooking the marsh w/ breathtaking westward views for the most magical sunsets. 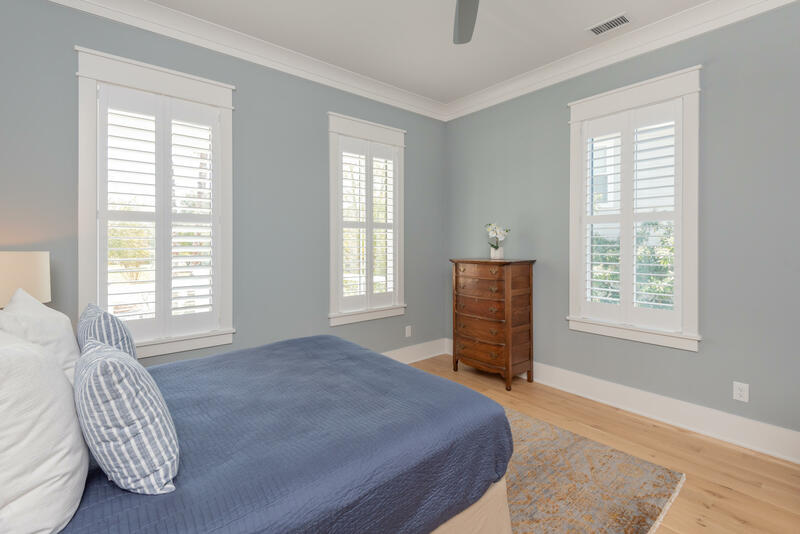 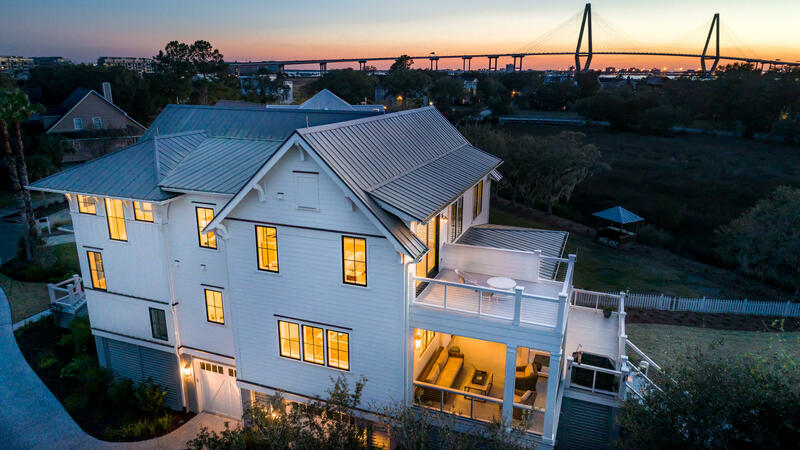 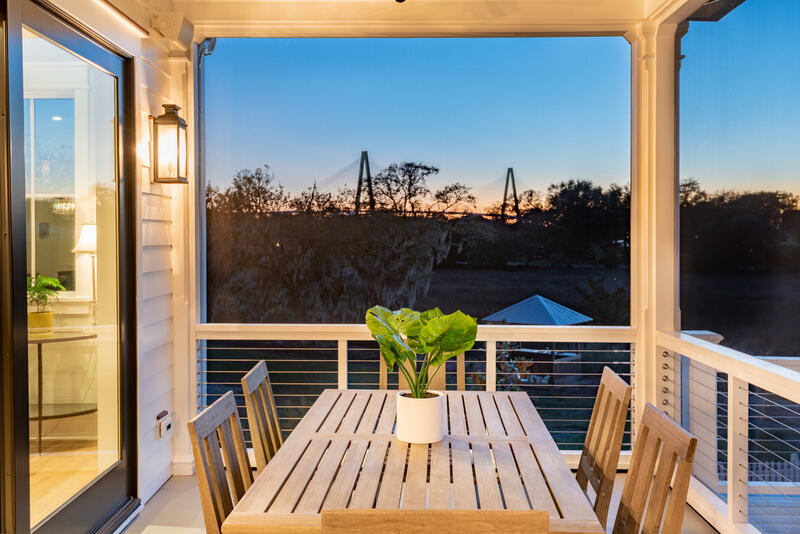 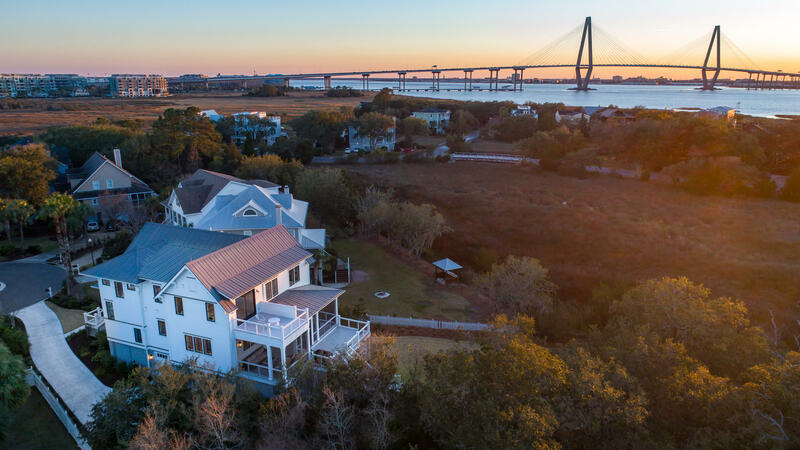 Tucked away into the coveted Mount Pleasant neighborhood, Harbour Watch, only 3.5 miles f/ Historic Downtown Charleston & 6 miles to the beaches of Sullivan's Island, this location can't be beat! 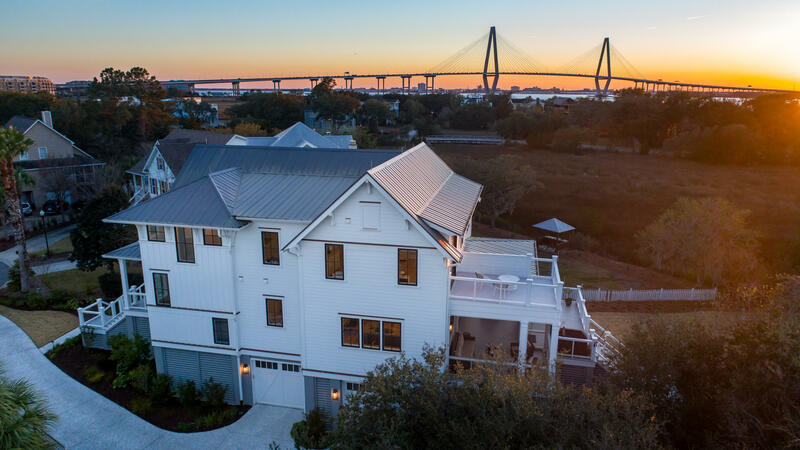 Not a single luxury has been overlooked in this exquisite home! 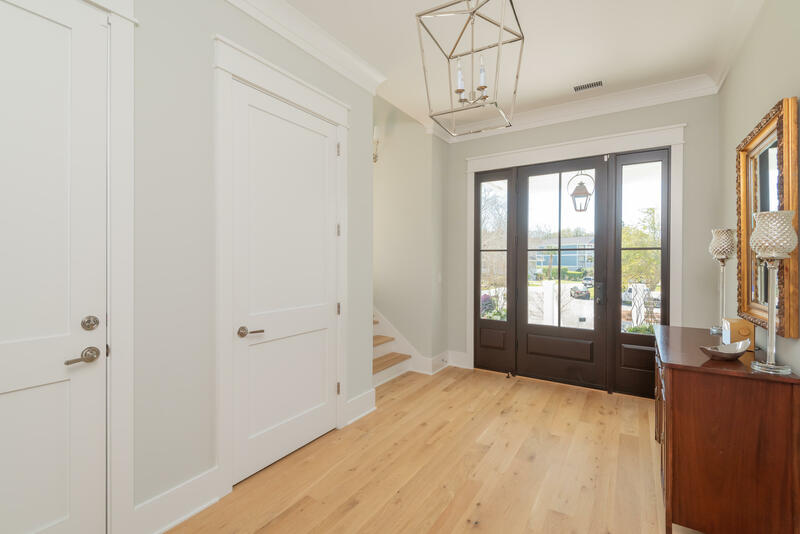 The moment you enter the front door, you are greeted w/ extraordinary light, 10 ft ceilings, cove molding & gorgeous white oak floors. 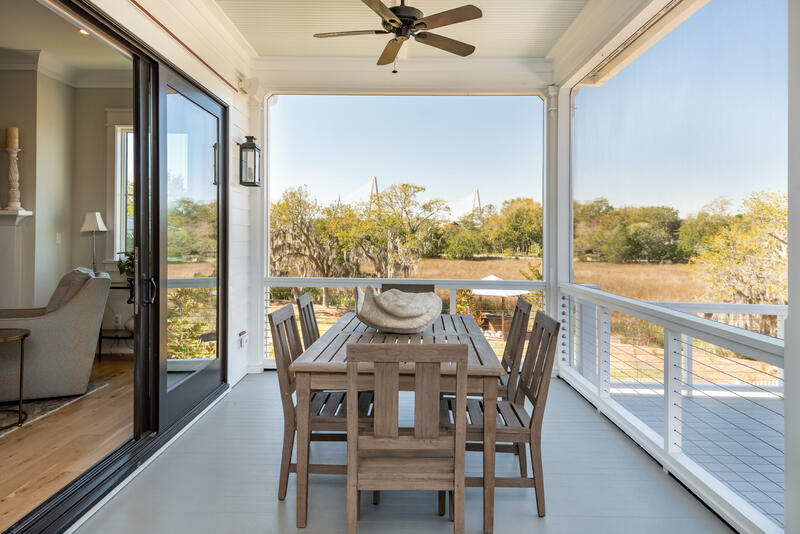 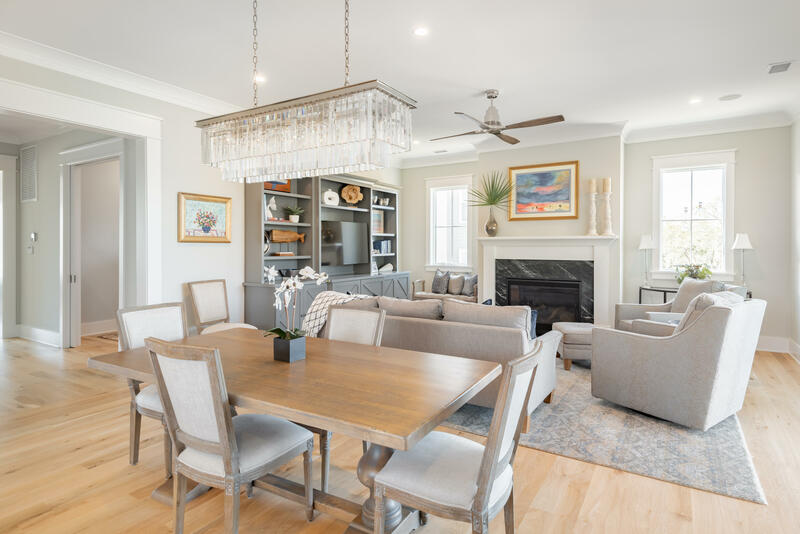 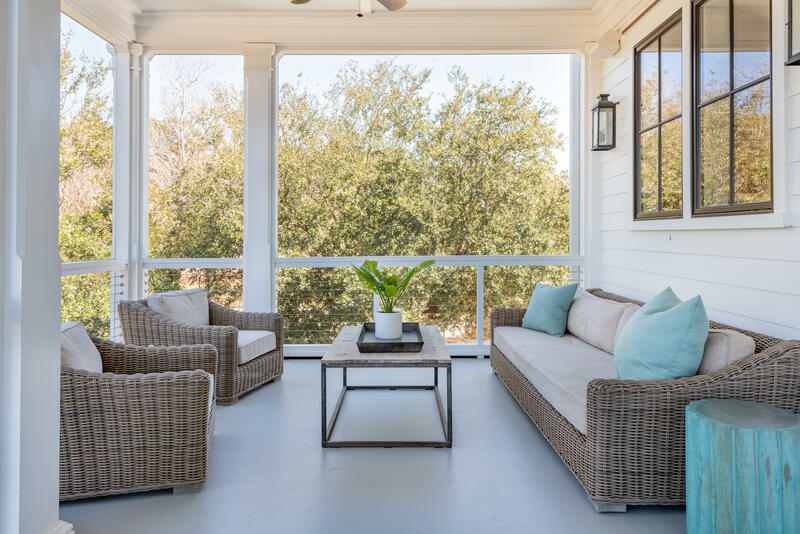 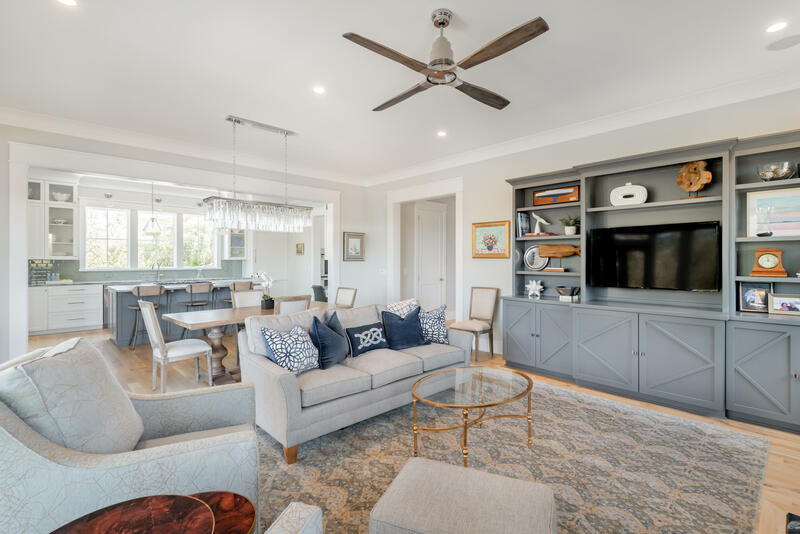 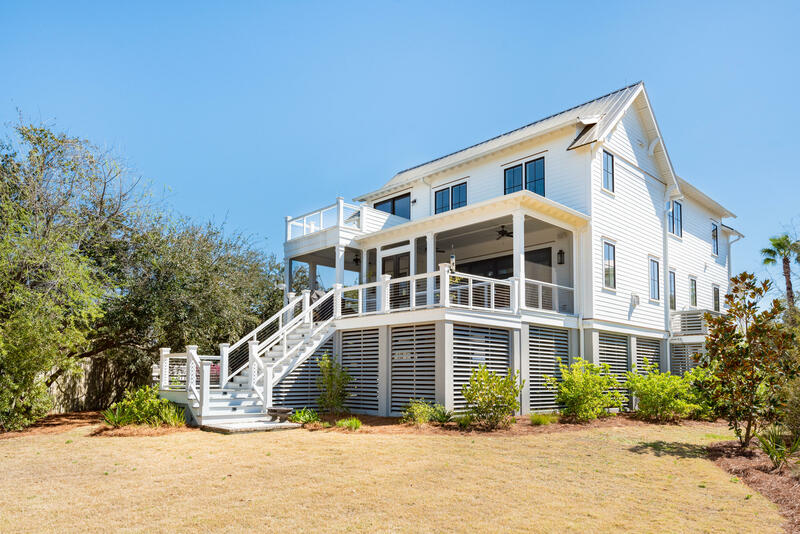 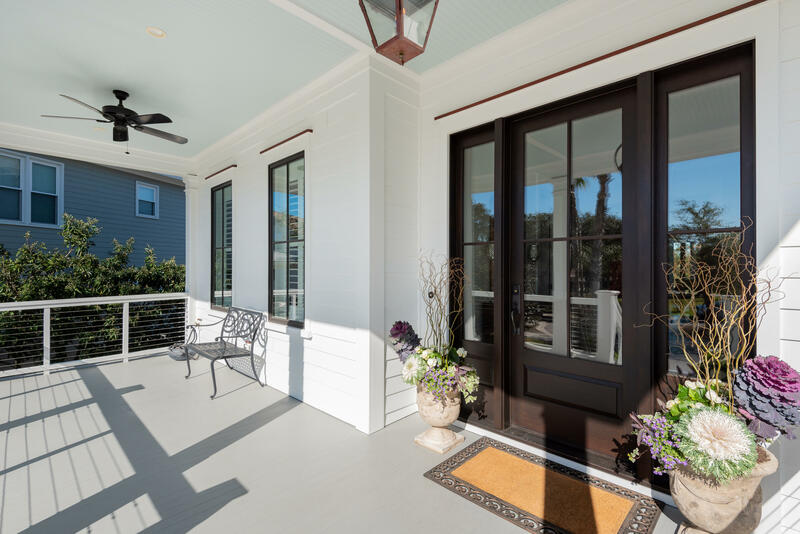 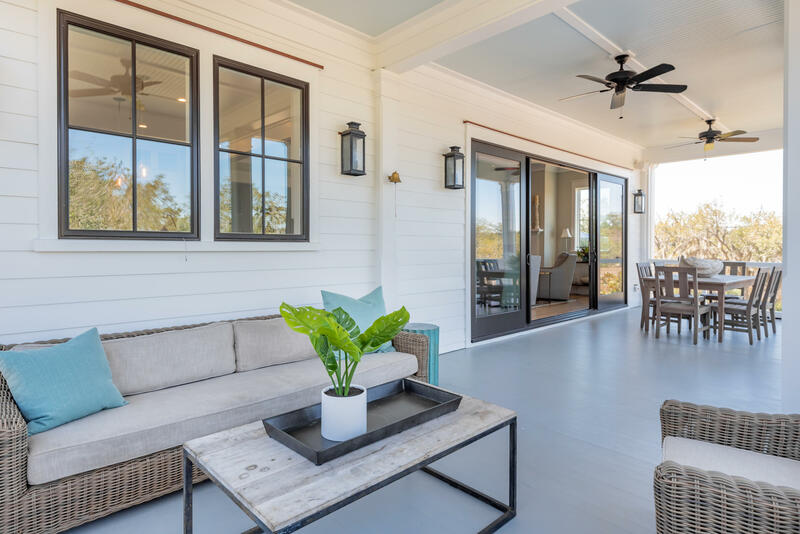 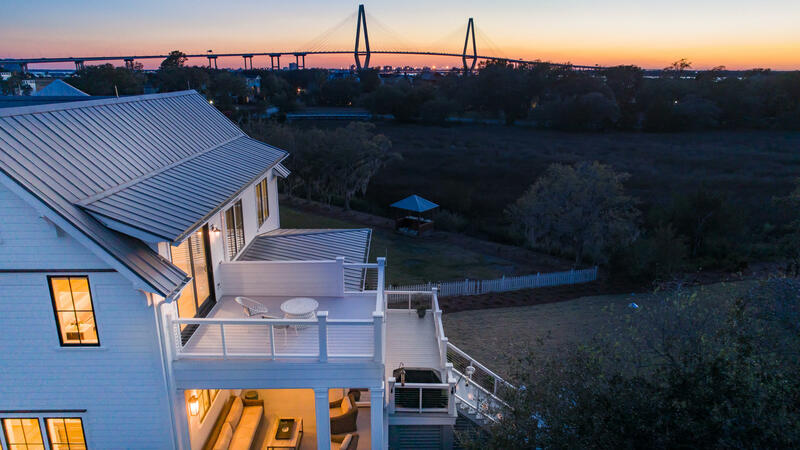 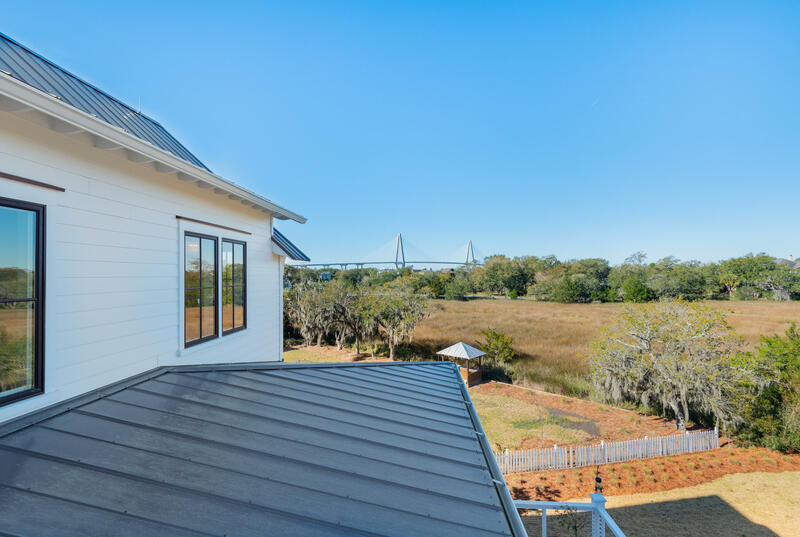 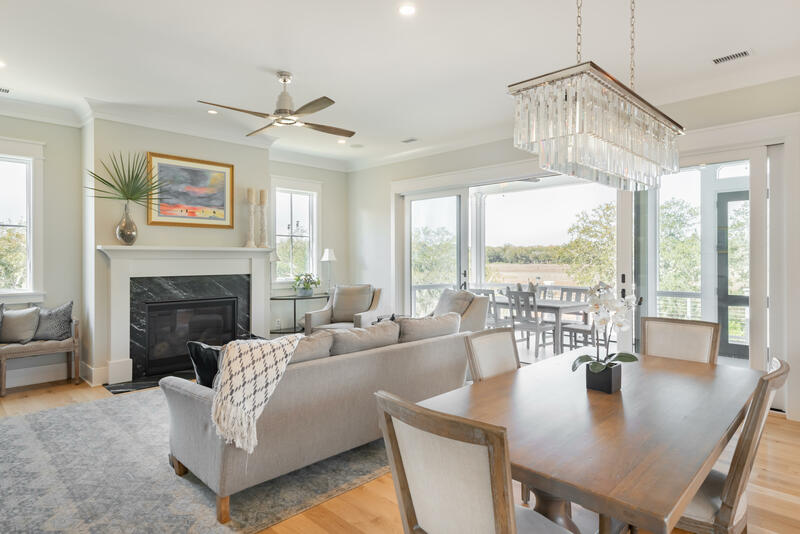 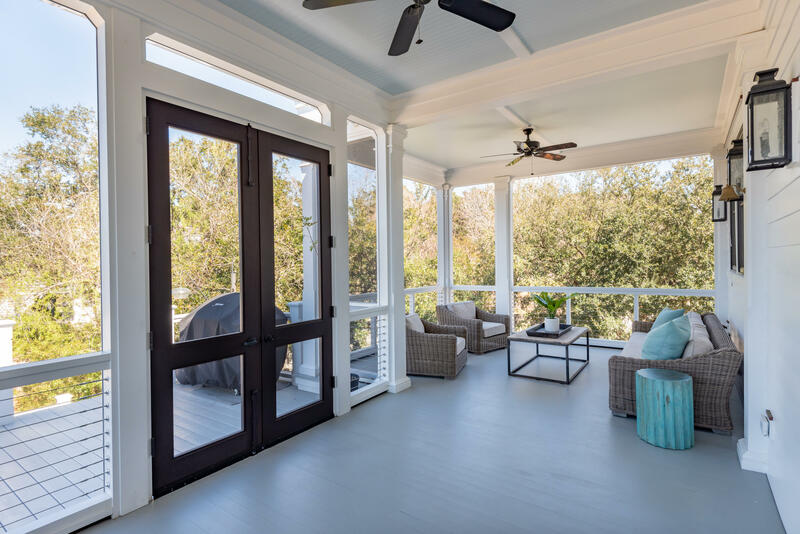 The spacious open living/dining concept w/ FP extends to an expansive screened porch & open deck, perfect for entertaining & relaxation w/tranquil views overlooking the salt marsh & bridge. 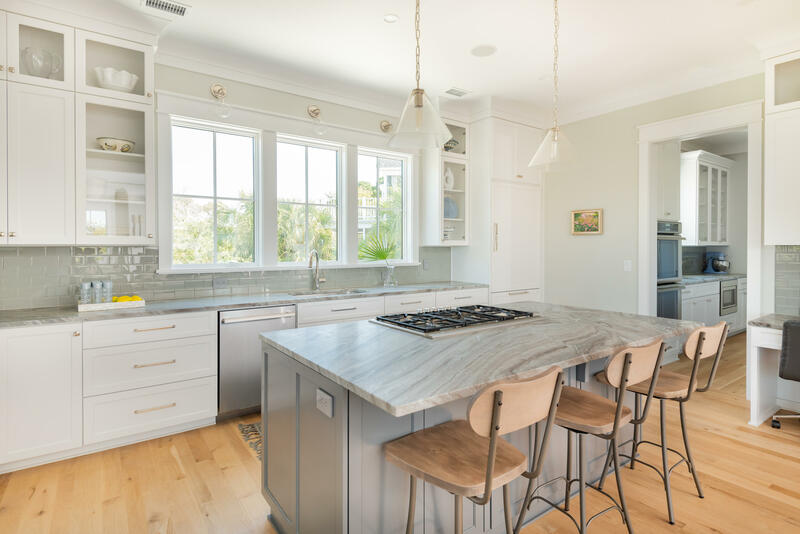 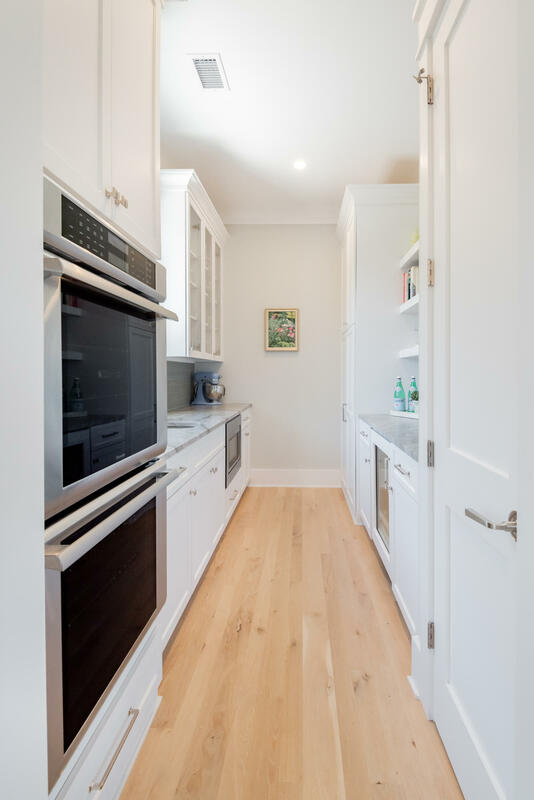 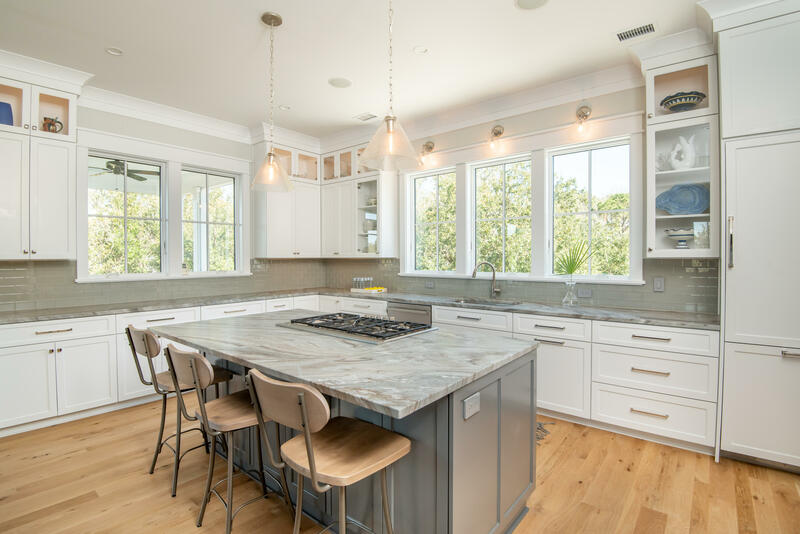 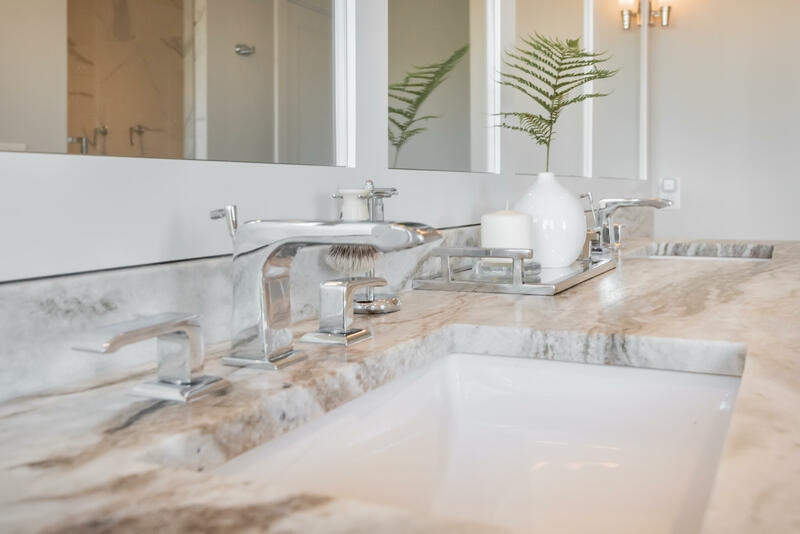 The perfectly appointed kitchen features expansive custom cabinetry accented by leathered quartzite counters with matching island, Thermador appliances & a Butler's Pantry that includes a double oven, wet bar, wine cooler & loads of cabinetry to keep your kitchen neat & organized. 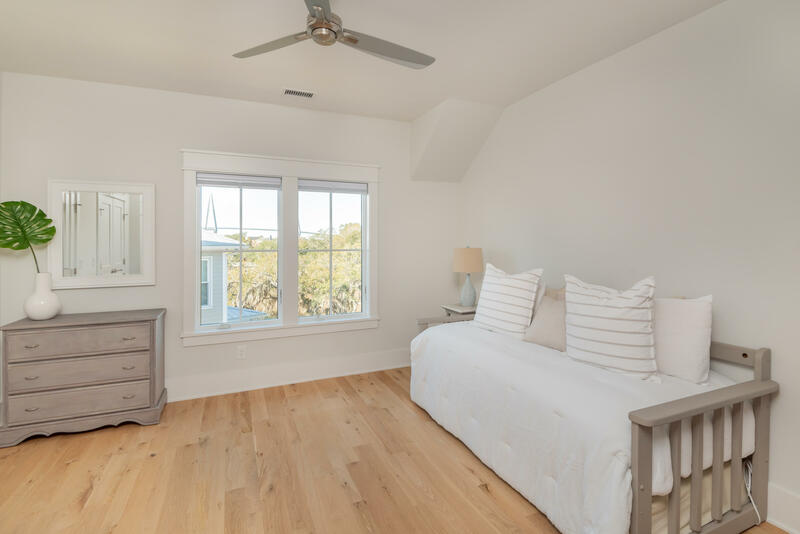 The main floor also offers an inviting Guest Bedroom Suite and separate study w/ views of the bridge. 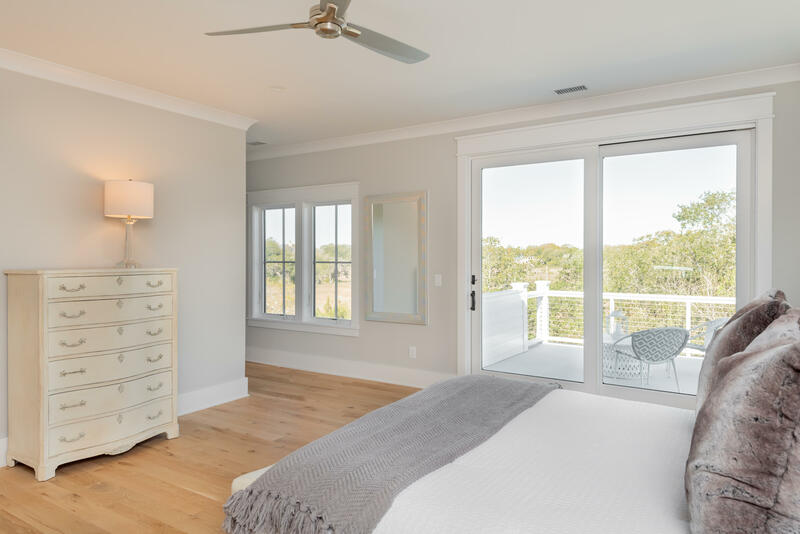 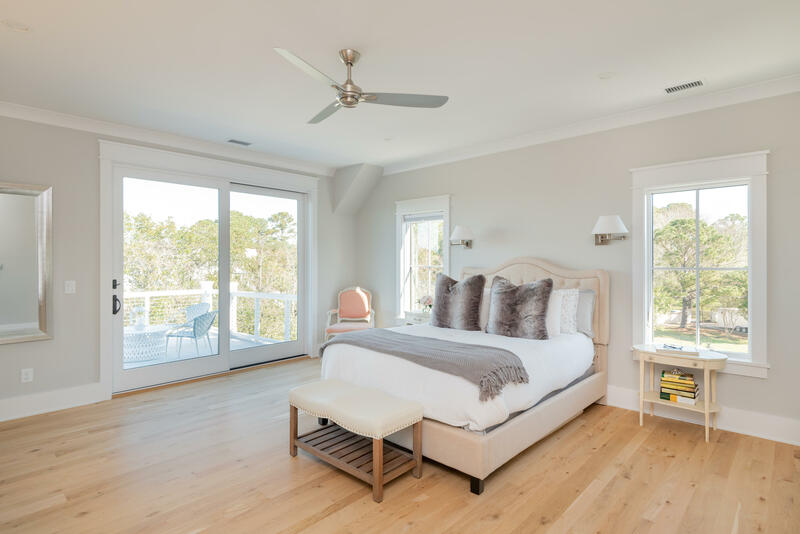 The upstairs Master Suite is truly a sanctuary...wake everyday to the same gorgeous views of the marsh & step out onto your private terrace to enjoy your morning joe! 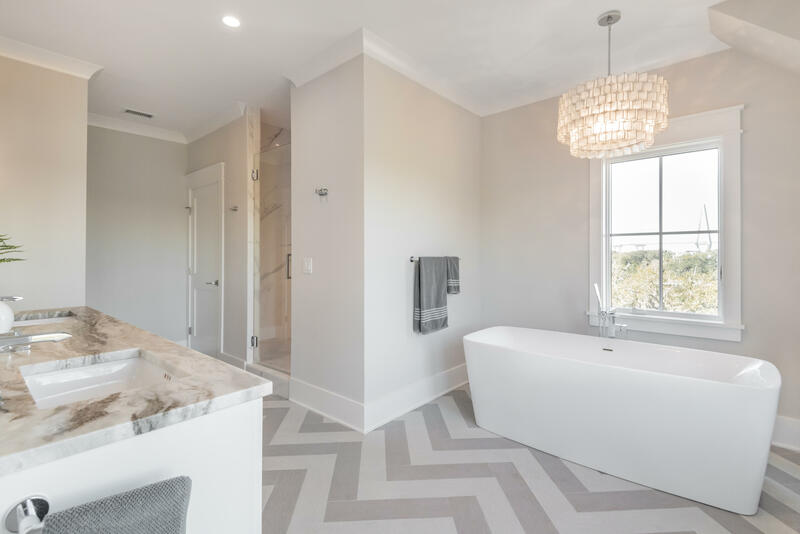 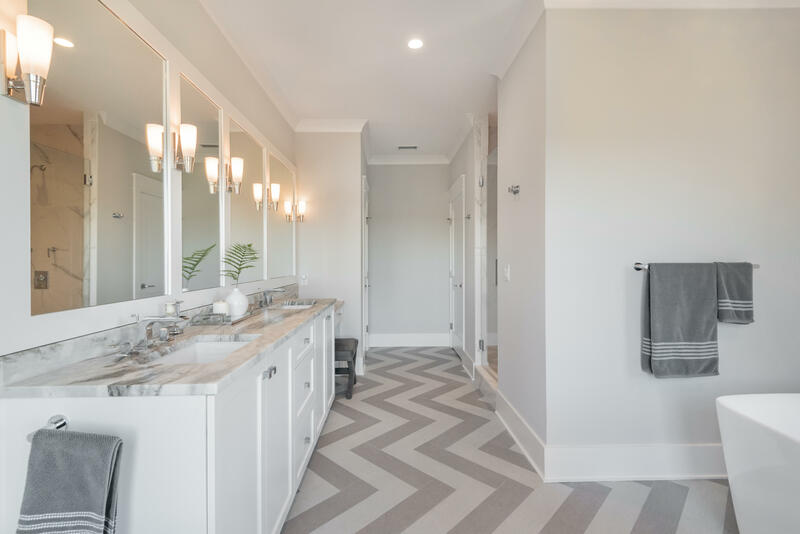 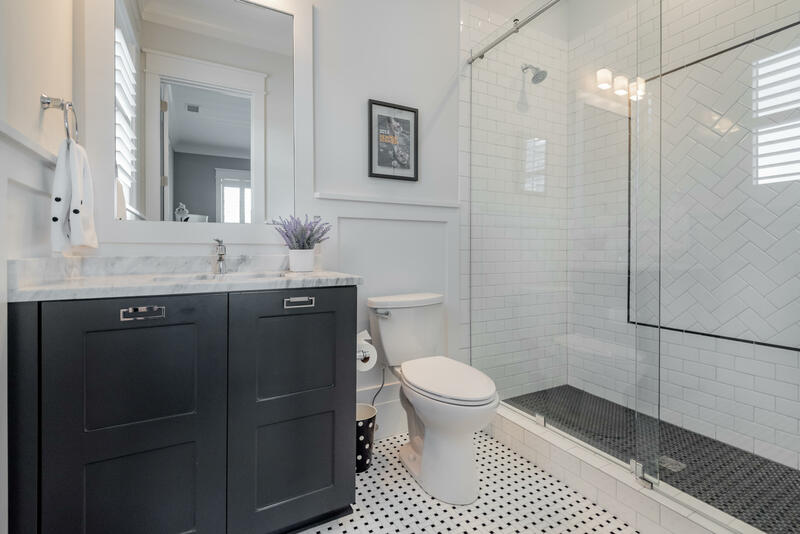 Retreat to your stylish spa-like bathroom appointed w/ patterned ''''linen textured'''' tile in a classic chevron pattern & soak in the freestanding tub perfectly positioned to capture the bridge & sunset views. 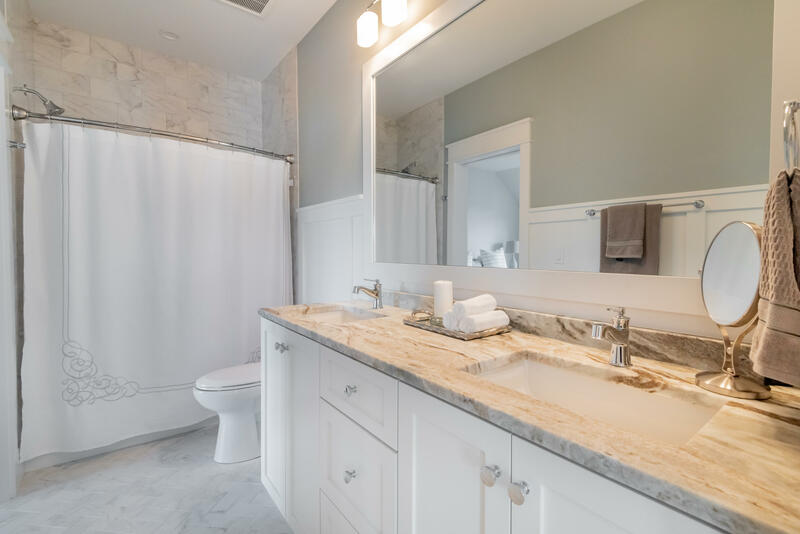 There are two additional bedrooms upstairs w/ custom Jack & Jill bath & a spacious laundry w/ full closet & cabinetry galore w/ leathered quartzite counters. 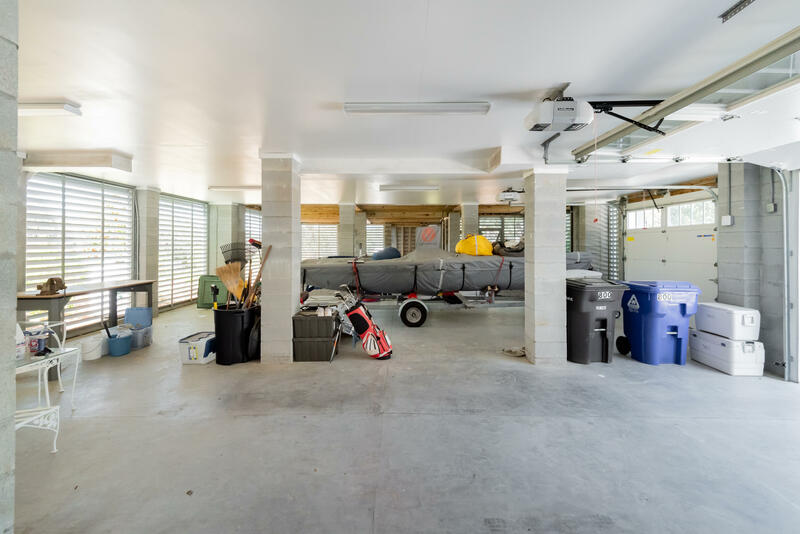 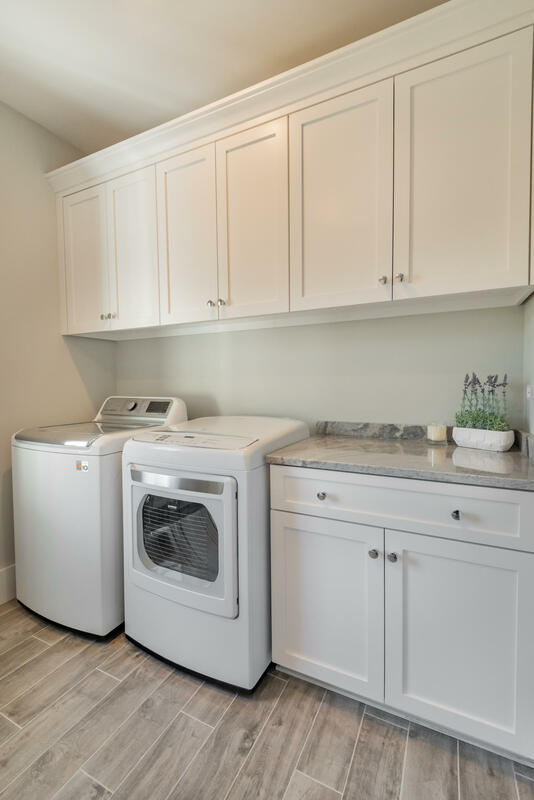 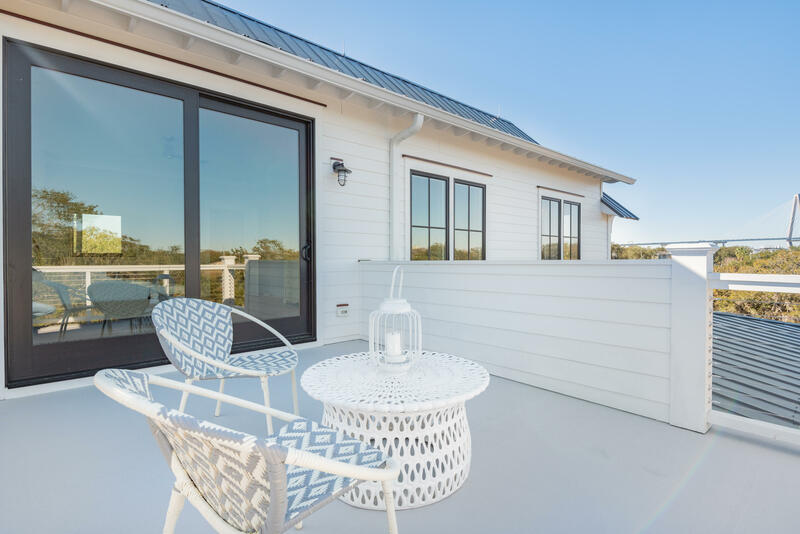 The garage spans the entire footprint of the home & offers exceptional storage for your cars as well as the Lowcountry necessities such as your golf cart, bicycles, kayaks, paddle boards, fishing gear, beach chairs, etc! 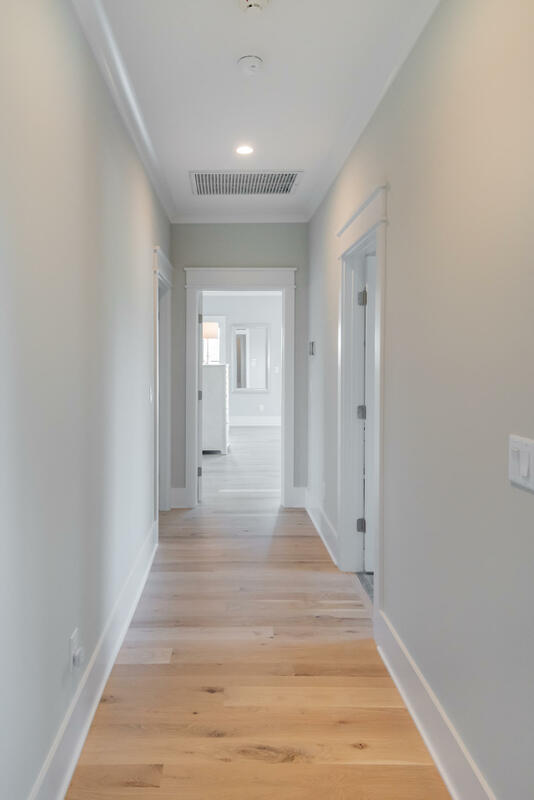 Fine home construction details can be seen in every aspect of this home including the tabby driveway. 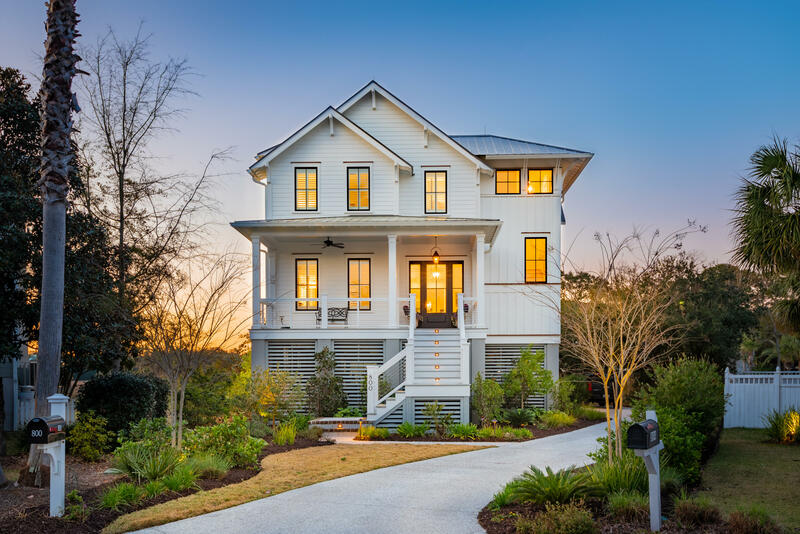 Enjoy a manicured, yet low maintenance lawn fully equipped w/ irrigation metered separately for efficient living. 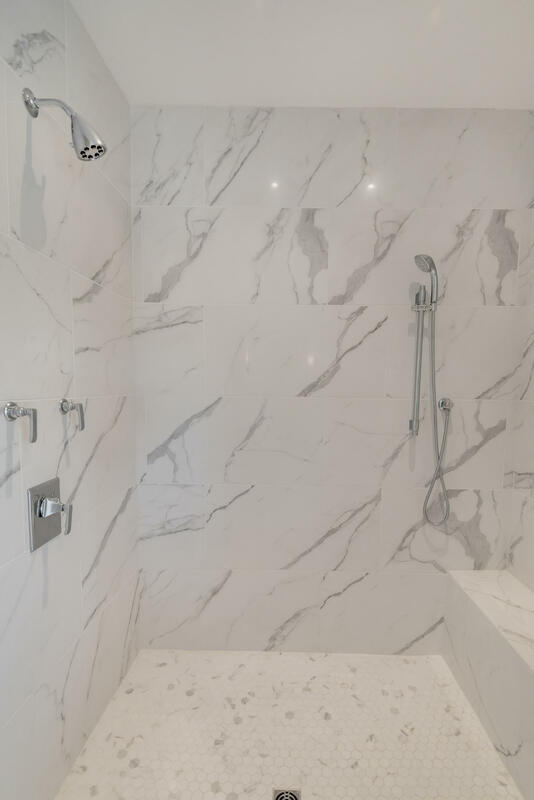 After a day on the boat or beach, you will find the outdoor shower a wonderful amenity. 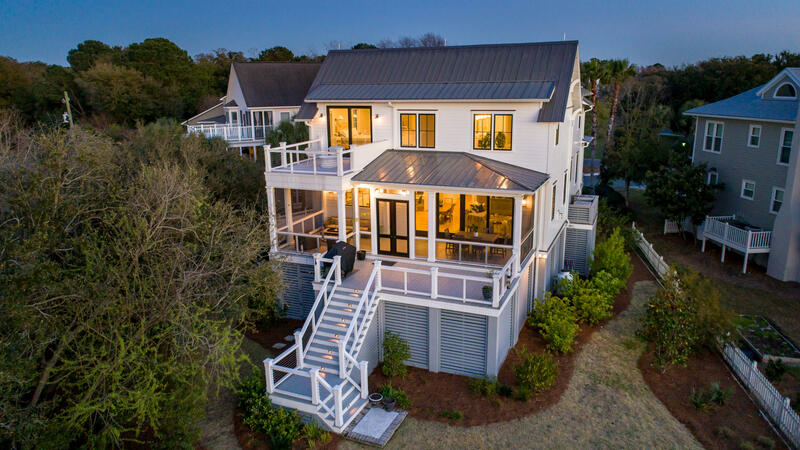 Top ranked schools are just one more benefit to this exceptional property. 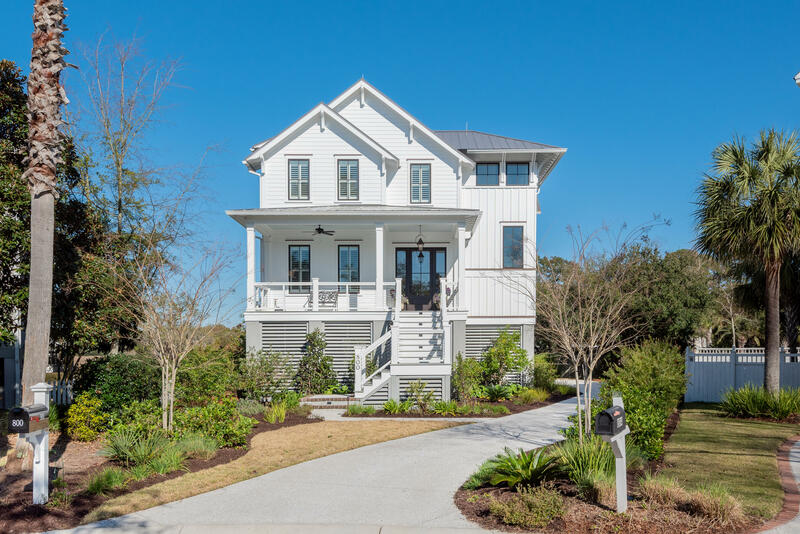 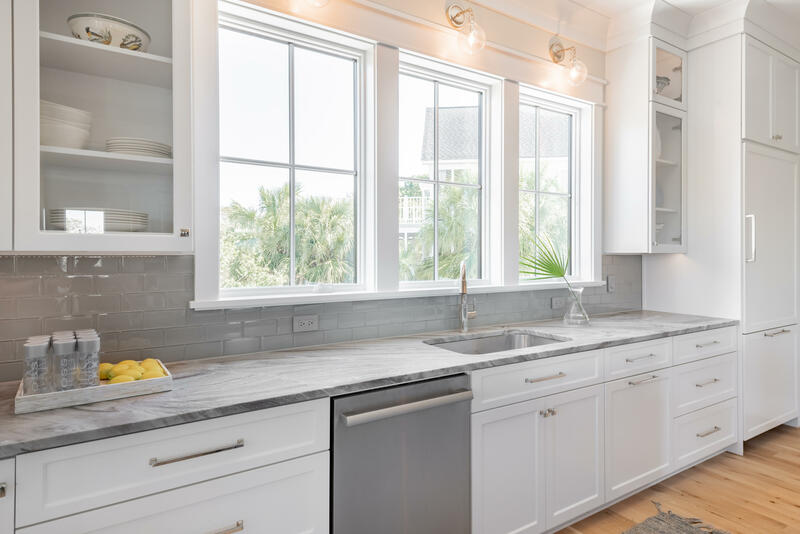 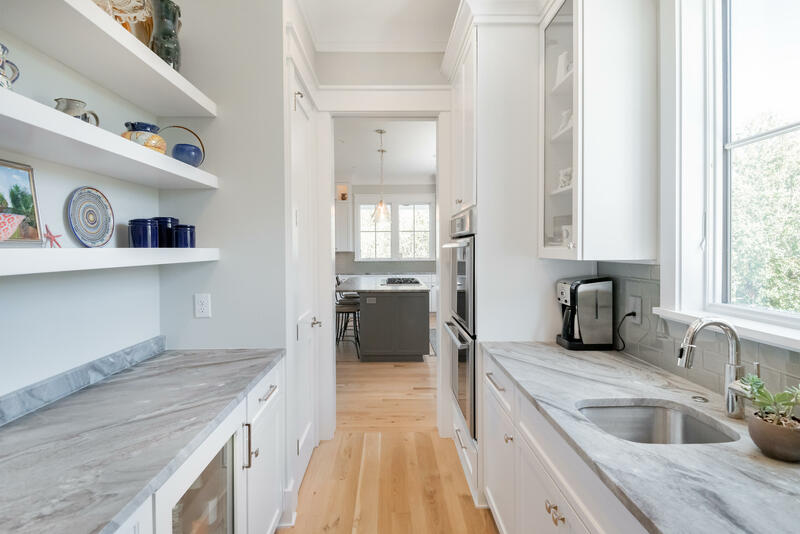 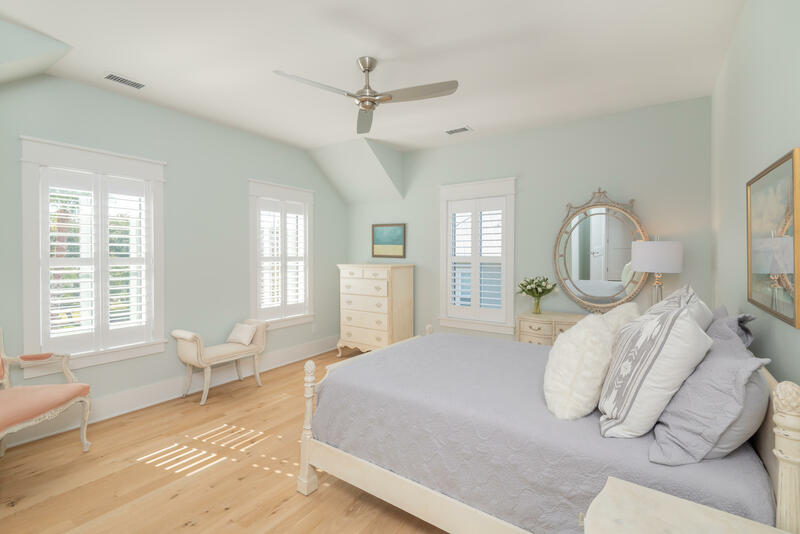 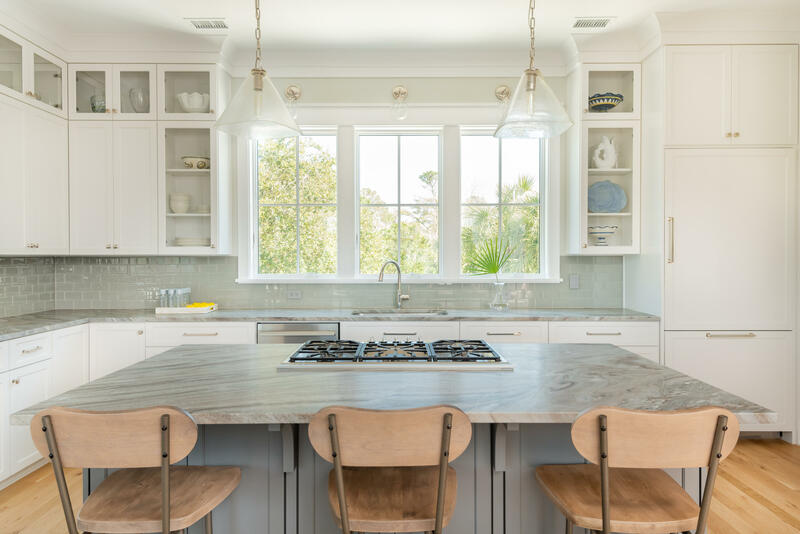 This thoughtfully designed elevated two story home is the perfect blend of coastal charm & modern elegance & is filled w/ soothing coastal tones, crisp trim work & gorgeous lighting. 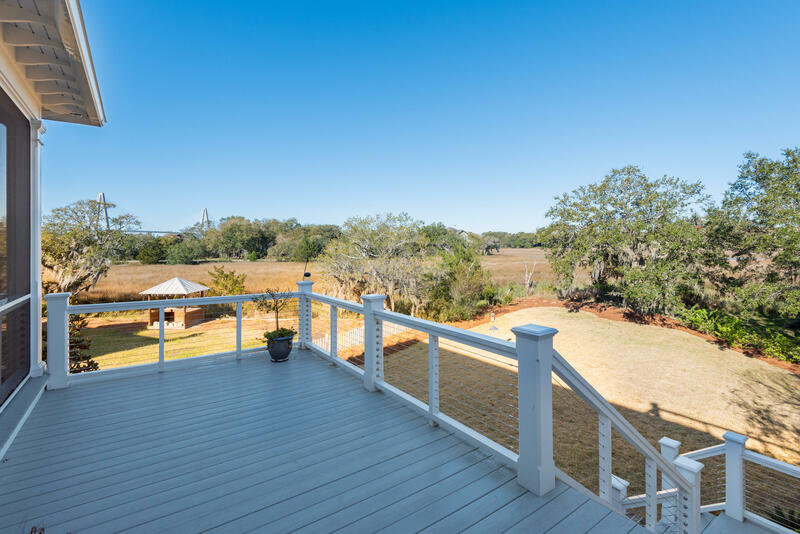 Live the Lowcountry dream & enjoy the lifestyle you deserve in this centrally located home. 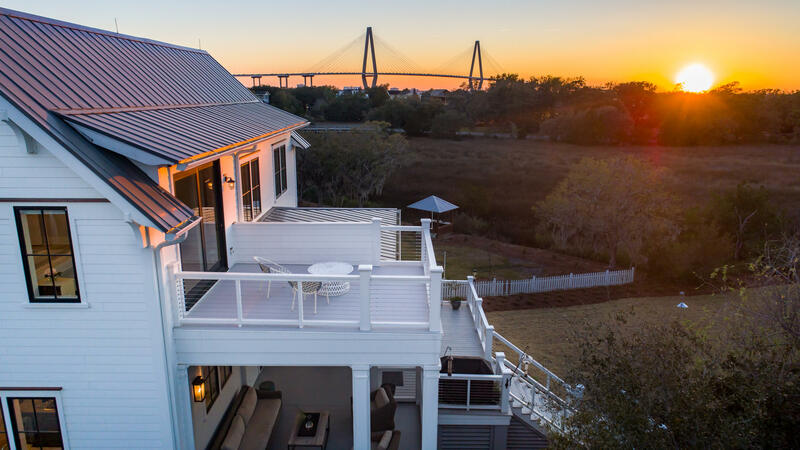 Relish in the outdoor activities nearby such as sunsets, seafood & cocktails on Shem Creek, walks on the pier at Waterfront Park, oyster roasts at Patriot''s Point, boating & marina access, paddle boarding & kayaking in the creeks, basking in the sun on the beautiful beaches & shopping & fine dining in Historic Downtown Charleston!